Already one of the largest garment makers in Bangladesh, Epic Group is embarking on an expansion drive that will see it double its production capacity in the country over the next two years. The move coincides with the company being recognised for its "Exceptional gains in productivity and improvement in efficiency" at the annual Wal-Mart Vendor Summit in Shenzen, China last week - the only apparel manufacturer from Bangladesh to receive an award this year. 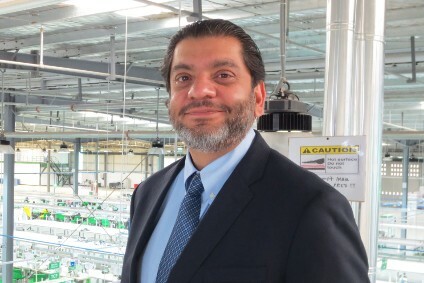 Epic, which already operates nine units employing over 20,000 people, is set to open its new 1m square foot garment manufacturing facility in four phases beginning in October this year and due for completion by June 2015. The factory, located around 2½ hours outside Dhaka, will employ 10,000 people and produce 750,000 units a month. Its 9m a year capacity will take Epic's total annual production in Bangladesh to around 50m units. The are also plans further down the line to establish a textile dyeing and printing unit in Bangladesh, building on the success of a rope dyeing denim textile plant set up by Epic and some of its local partners three years ago. This would gradually take a large part of the company's capacity and give it a vertical edge in the country. 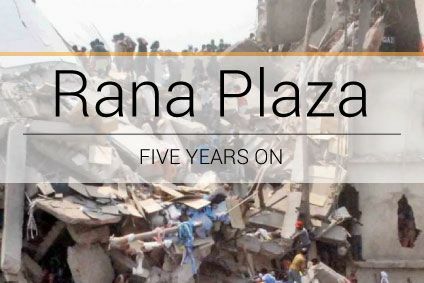 Epic's growth plans were already in the pipeline well before the collapse of the Rana Plaza factory building in April and the Tazreen Fashion factory fire last November claimed the lives of more than 1,200 garment workers. But the Hong Kong based company believes the factory disasters have been a catalyst for wider changes that were already underway in the industry. In particular, a trend by international retailers and brands to consolidate their buying to build stronger and more strategic relationships with a smaller number of big suppliers. "We really believe in Bangladesh," Ranjan Mahtani, CEO of Epic Group, tells just-style. "We have been here for 30 years and we have seen [the country] evolve to become one of the largest suppliers in the world. "The industry now faces a wake up call. Audits and regulations will entail a clean up of the kind that we have not seen before - but we firmly believe that over the next 18-24 months the industry will reorganise to a world class level that will be followed by other countries." 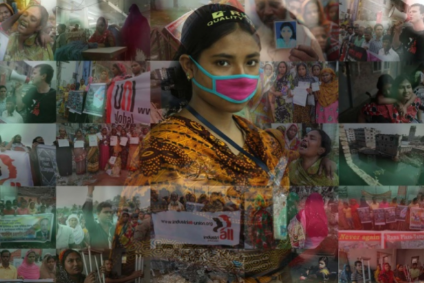 This reorganisation is likely to see a major change in the structure of Bangladesh's garment industry and its 5,000 or so factories, as safety inspections instigated by brands and retailers in Europe and North America force smaller, non-compliant businesses to move to new premises or even close. Conversely, however, as buyers select their suppliers more carefully, there will be expansion opportunities for the bigger and better players. With customers including Nautica, Lee, Wrangler, Gap, Wal-Mart, Haggar, Dillards, Kohl's, JCPenney and Levi's, Epic's CEO has long believed that consolidation and strategic partnerships go hand-in-hand with improving efficiencies and productivity to bring down financial costs and add value. "Today if you want to be a manufacturer you have to be an industrialist first," he said earlier this year. "You have to think like an industrialist, you have to think for the future. Sustainability, design input, first sales, social and ethical compliance have all been redefined. Today it's not just about stitching garments." 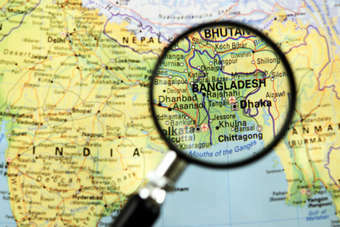 While he also believes "you cannot have a fragile supply chain depending on just a few countries," he is convinced Bangladesh has a niche that would be hard to replace - and not just for its low costs. "Every country is good in a certain niche. India is good for more value addition and embellishment, Vietnam for polyester pants and knits, and Bangladesh has got its own niche when it comes to items like woven bottoms and cargos, where the cost of production can be very high in countries where labour costs are high. And Bangladesh is able to turn round vast quantities, which some of the other countries may not be able to do." Mahtani adds: "The message to customers is that there is a lot of good in Bangladesh."